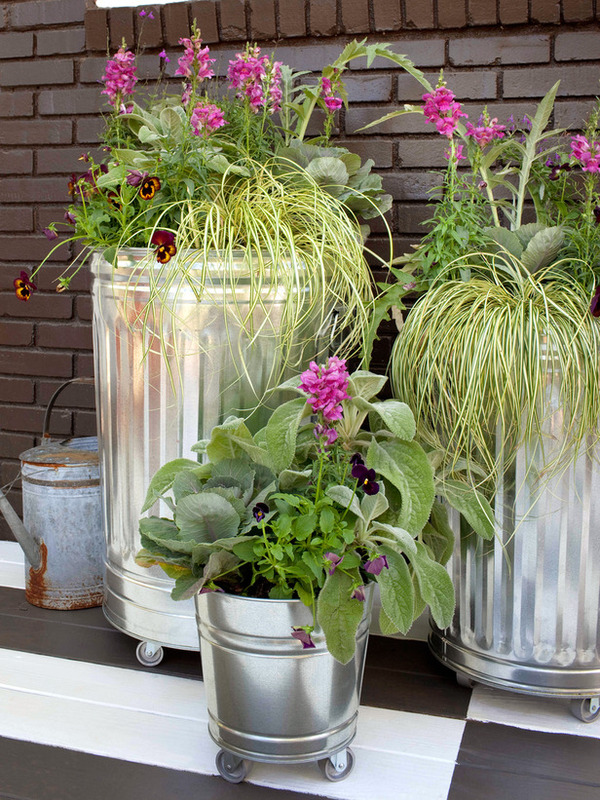 If you have a small balcony or if you have a hard time bending down to garden, there are still some nifty ways to still garden! Mobile containers are a great way to do so. Have containers on casters is a great way to be able to move the container to where you need it. You can also change around the look of your patio based on if you are wanting to entertain or create a privacy barrier. If you decide to use metal containers like these, line then with some type of insulation such as bubble wrap or thin styrofoam. It will help keep the plants roots from getting so hot from the sun. Or try and put them in a shadier area. Think outside the box; use some old wood crates as containers and put wheels on them. Just like the inside with a layer of thick plastic, and put drainage holes in the bottom of the plastic and the box. What would you want filled with them? Maybe an herb garden that will also attract butterflies? It would be great as a cutting garden for people unable to stoop onto the ground. Also great in a small space or to use as a screening around the patio!